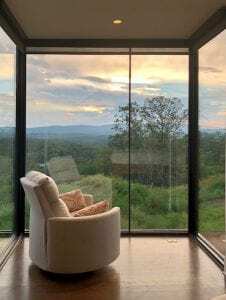 Custom home systems integrator Michael Buckner, owner of Audio Intersection in Canton, GA, decided to build a fully connected home in the foothills of the North Georgia Mountains. Buckner had been keeping his eye on the growing presence of low-voltage LED lighting solutions available to AV integrators, and a timely invitation to a LumaStream training session at their facility in Saint Petersburg, FL, motivated Buckner to present these products to his clients and design them into his beautiful new home. Buckner says that as enticing as the low-voltage LED lighting industry is for his audio/video business, it also took a leap of faith on his part to integrate this new technology into the home control ecosystem. He has been pleased with LumaStream’s products and support services, for they have helped him gain comfort with low-voltage LED lighting and create a masterpiece in the confines of his new home. Looking back to the prewire stages of the project, Buckner recounts how his team ran 18-gauge stranded wire from a central location to each fixture, instead of the heavier Romex traditionally used by electricians for high-voltage lighting solutions. His lead technician commented that the installation process for LumaStream was very intuitive – even for a first timer – and much like working with audio components. 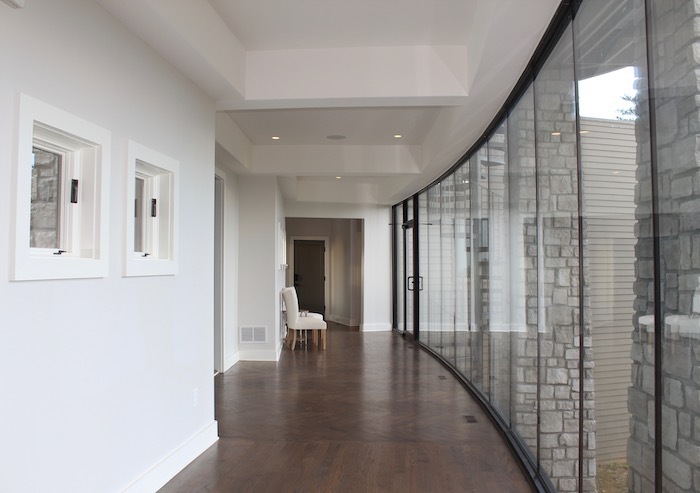 “All said and done, my team powered 77 light fixtures throughout the home using four 12-channel power supplies connected to a single electrical circuit,” Buckner explained, highlighting the efficiency of the LumaStream solution. 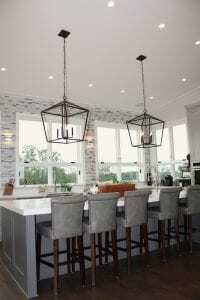 The installation incorporates two of LumaStream’s fixture offerings; 75 of the trim-less adjustable 4-inch round downlights and two aluminum wall sconces for the kitchen. Control is managed using Lutron HomeWorks QS Palladiom keypads throughout 11 total rooms in the home. “In addition to the quality of the lighting, I felt that the LumaStream solution delivers the best reliability as well as a degree of future-proofing as the low-voltage LED lighting arena evolves,” Buckner said. In addition to LumaStream low-voltage LED lighting throughout the home, Buckner integrated the Elan control platform, including a 10-inch touchscreen. 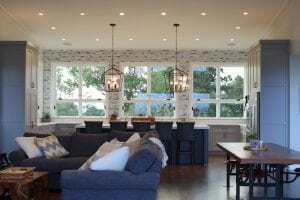 The home features whole-house entertainment and motorized shades in the master bedroom. Buckner has scheduled clients to come see his smart home environment, but one of the first visitors to the Georgia hills once the project had been completed was LumaStream founder Eric Higgs.